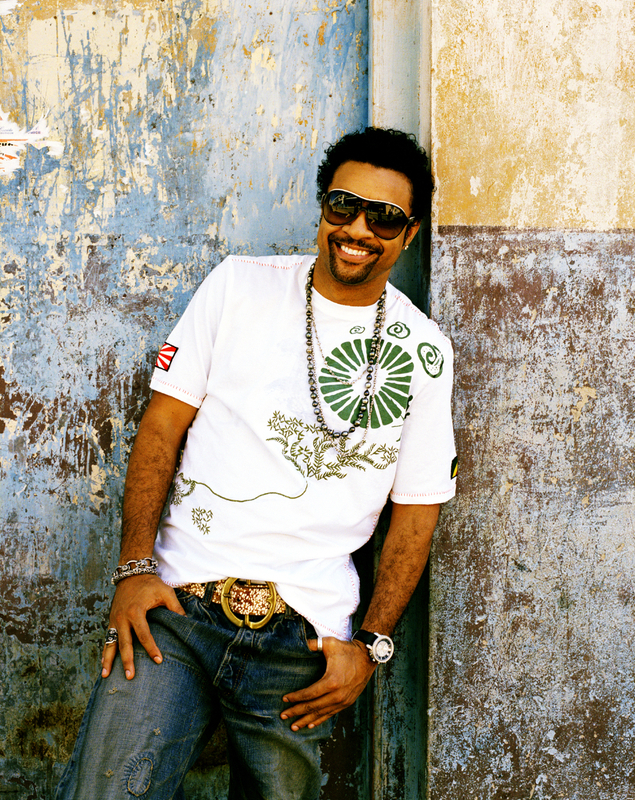 Reggae artist Shaggy is back with a vengeance! Fans have been anxiously awaiting a new album from the “Angel” singer and finally their prayers have been answered. After 4-years, the Grammy Award-winning singer is just days away from releasing a brand new studio album titled, Summer In Kingston. Shaggy is a veteran in the music industry, having been the only Dancehall Reggae artist to achieve a Diamond Certification for his 2001 album Hot Shot. Even with all of his achievements in the music industry, Shaggy still remains humble, focused and personable. L.I.M.E. recently caught-up with Shaggy during his promo stint in New York City. In this interview, Shaggy reveals the inspiration behind his new album, what he’s been up to and how he retains his longevity in the ever-changing music industry. LIME: You recently released the song “Sugarcane” from your upcoming album, Summer In Kingston. The song is currently No. 5 on the iTunes Reggae. How does it feel to not only be back releasing new music, but to be on the charts right out of the gate? LIME: Summer in Kingston drops July 19, what was your inspiration for this album? LIME: How long did you work on Summer In Kingston before everything got mastered and put together? LIME: This will be your first studio album since 2007. Your fans want to know, what has Shaggy been up to since then? LIME: Going back to Summer in Kingston, the track “Fired Up (F*ck The Recession)” with Pitbull. The song is definitely a favorite of mine, because it goes against the grain. Did you have any reservations when you first started recording it? LIME: “Let’s take it back for a second, the track “It Wasn’t Me” off of your Hot Shot album. The song was featured on TV shows, people have used it to defend themselves in awkward situations. It really became a staple in music history. I know you fought to get that track on the album, looking back, did you ever think it would become as popular as it was and still is today? LIME: You have been recording and performing for more than 20 years; do you ever find it hard to keep up with the changing times, as far as the music industry goes? 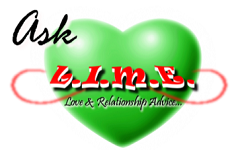 LIME: Putting music aside for a minute, many people don’t know that you have your own non-profit organization called the ‘Shaggy Make A Difference Foundation’ (SMADF). Could you tell my readers a little bit about it? LIME: What’s next for you, what are you currently working on? Summer In Kingston has a genuine island sound that will make you feel as though you have been whisked away to Jamaica. The album is the perfect blend of relaxation & dance tracks; thereby making it the perfect addition to any playlist. 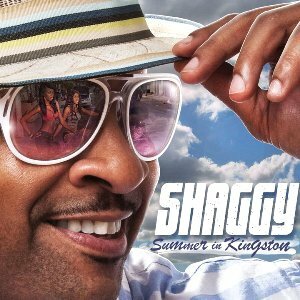 Shaggy’s new album, Summer In Kingston will be available July 19, on iTunes! 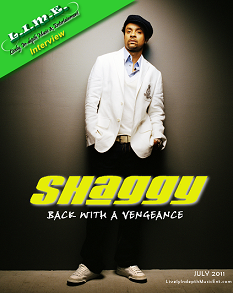 For more information on Shaggy and his upcoming projects, visit www.ShaggyOnline.com. Be sure to follow Shaggy on Twitter (@DiRealShaggy) for real-time updates. Special thanks to: Shaggy & Michela DellaMonica of The Door l an idea house (TheDoorOnline.com). Posted on July 13, 2011, in ENTERTAINMENT NEWS. Bookmark the permalink. 6 Comments. that music needs to be a community again, to make it a society. learn from it and reflect our times and that will get corrected and we have to do that at every level. It is now to be known as Jiffy Lube Live Tailgating 2013. 9999 The job you’ve got executed has gotten you this considerably. These station replica purses in many cases are the clone to the authentic beautiful channel totes. except this post gives fastidious understanding even.